A NURSING chief has admitted hospitals are likely to fail a key standard for cutting the numbers of superbugs this year which could mean large fines. 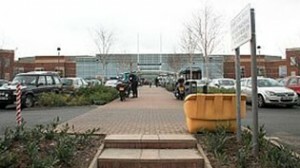 Targets for reducing clostridium difficile at hospitals like Worcestershire Royal Hospital in Worcester have got more stringent each year which means that although infection levels are falling, the trust is likely to fail its target for 2012/13. As previously reported in your Worcester News the clinical commissioning groups which hold the purse strings for NHS care have the power to impose fines of up to £445,000 for each case of c.diff above the target for 2012/13. Worcestershire Acute Hospitals NHS Trust has had 34 cases of c.diff so far this year, 14 over the trajectory.